At Bering Air, our pledge is to operate a well-maintained fleet of aircraft with the best professionals in the industry, providing the customer with the safest and most reliable transportation network in our region of Alaska. That’s why we’re excited to share with you an ongoing project we launched earlier in 2015. 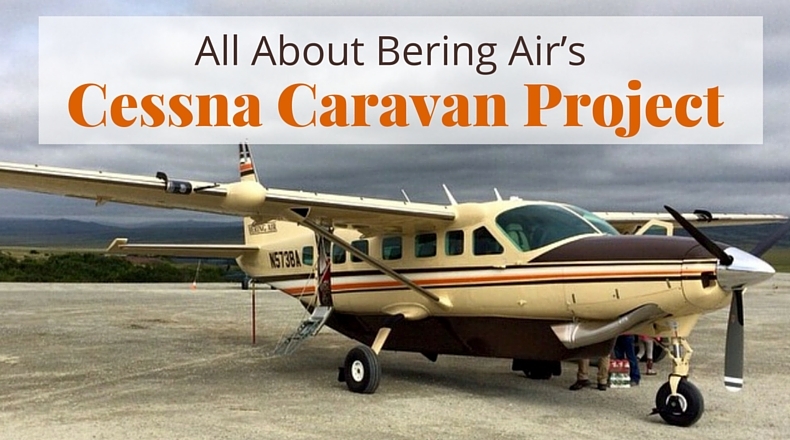 Bering Air began operating C208 Caravans in 1995. Twenty years later, we signed a deal with Cessna Aircraft Company to purchase 9 brand new airplanes, all of which will be delivered to our hubs this year. N241BA, N952BA, N573BA 404BA, 215BA, and 966BA have already been delivered and are online and working! 7BA, 8BA, and 9BA will arrive in the coming months. On September 28th, Textron Aviation rolled out its 2,500th Caravan at its Wichita, Kansas headquarters. What makes this aircraft special for Bering Air is that it will become the sixth of our new aircraft in our fleet, after stopping in Anchorage for upgrades. Our original Caravans had 675 horsepower, but our new fleet now has 867 horsepower. This allows for shorter take-off rolls, faster climbs and higher cruising speeds. Plus, they’re now substantially lighter, which means an increased payload capacity. The system also offers the smoothest autopilot ever produced for light aircraft. It’s all part of a lighter weight package that’s more reliable than older equipment. Bering Air would like to thank its loyal customers for their support and patronage over the years. Our deal with Cessna represents the largest order for brand new aircraft by a bush Alaska carrier, and we’re proud to continue providing you with the most modern and reliable fleet of aircraft available. Want to see some great shots of our new Caravan airplanes? Check out our Instagram page! And if you’re flying with Bering Air, we’d love for you to tag us in your photos using the hashtags #beringair or #beringairalaska.